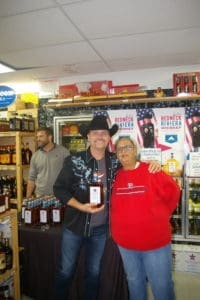 Bill knows that when a double platinum-winning country music star comes to town, you make a big event about it… especially if that celebrity is selling whiskey! 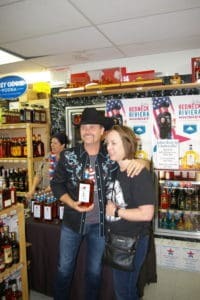 Local country music fans got a treat in April, when John Rich, of the double platinum-winning duo, Big and Rich, came to Bill’s Package Store to sign bottles of his new Redneck Riviera Whiskey. 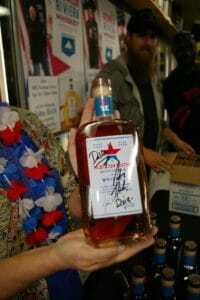 A steady stream of folks poured into Bill’s Package Store from 11am to 1pm on April 26, 2018 and even though there was a drizzle or two of rain, it didn’t keep the folks away who wanted to meet John and get his autograph on a bottle of whiskey. Mr. Rich was the epitome of down-home hospitality. He signed autographs, posed for pictures and even made sure everyone got a chance to spend a few minutes to chat with him. And it wasn’t all self-promotion. 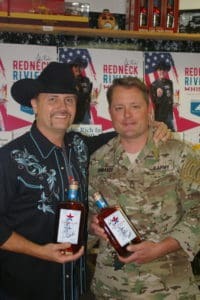 A portion of every bottle sold that day went to Folds of Honor, one of Rich’s favorite charities. 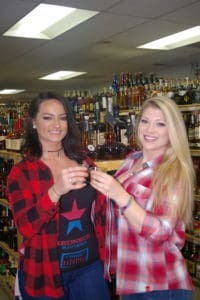 Some folks like their whiskey straight or on the rocks, but if you like it in a cocktail, here are a few whiskey recipes you might enjoy. 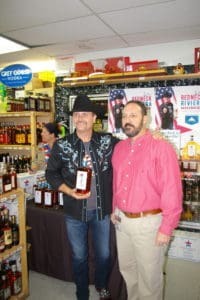 And isn’t it nice that you have Bill’s Package Store to help you with all your spirit requirements? 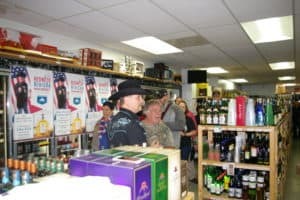 They offer superior quality, top-shelf brands of your favorite liquors and wine at the lowest prices in Clarksville, TN. Call (931)647-5566 or visit at 1651 Fort Campbell Blvd Clarksville, TN 37042.